Hazel Gomez spent her life serving those in need in Topeka and around Kansas. Her community involvement spanned youth, military, and the elderly. She was a leader in local, statewide, and national Hispanic organizations. Gomez was born March 3, 1924, in Topeka, to Epitacio and Maria Gonzales and attended Our Lady of Guadalupe School. When she was just 18 she helped to organize the Y-Señoritas club, sponsored by the Topeka YWCA. Amid World War II, this club played an active role in helping soldiers lead a more active life outside the military. Becoming active in fundraising for her local parish, Gomez was selected in 1943 as queen of the Our Lady of Guadalupe fiesta. She married Robert Gomez on April 16, 1944, in Topeka. The couple’s four children grew up in Topeka. Gomez was a founding member of the local League of United Latin American Citizens (LULAC) and served as the state director and two terms as president. In 1973 Gomez was the first chairperson for the advisory board for the LULAC Elderly Center. Gomez served as secretary and president for the La Colonia Elderly Housing Project. She was president of the Our Lady of Guadalupe Mothers Study Club, and Our Lady of Consolation Monastery Guild. She was also vice president of the Silver Haired Legislature board and in 1995 served as a delegate to the White House Conference on Aging. Over the years Gomez served on numerous boards including Friendly Neighbors, Catholic Social Services, National Hispanic Council on Aging, Volunteer Action, Topeka Youth Center, the 1975 Fiesta Mexicana, and Kansas Association of Hispanic Organizations. Gomez also served on the Martin Luther King Living the Dream Committee. Her community involvement led to numerous awards and honors. In 1977 Gomez was selected for the Kansas LULAC Outstanding Service Award. She was honored in 1982 with the Outstanding Leadership Award at the National LULAC convention. The Kansas Association of Hispanic Organizations named Gomez as the woman of the year in 1987. She received the LULAC Women’s Hall of Fame Award and Governor’s Martin Luther King, Jr., Award in 1992. She was named the state LULAC woman of the year in 2000. Gomez was inducted into the Kansas Women of Color Hall of Fame. Gomez died October 11, 2000, in Topeka. The Kansas Senate passed Resolution No. 1822 in 2001 in memory of Gomez and her dedication to community service in the Hispanic community. In 2001 a gazebo was dedicated in tribute of Gomez’s service at the La Colonia retirement community. 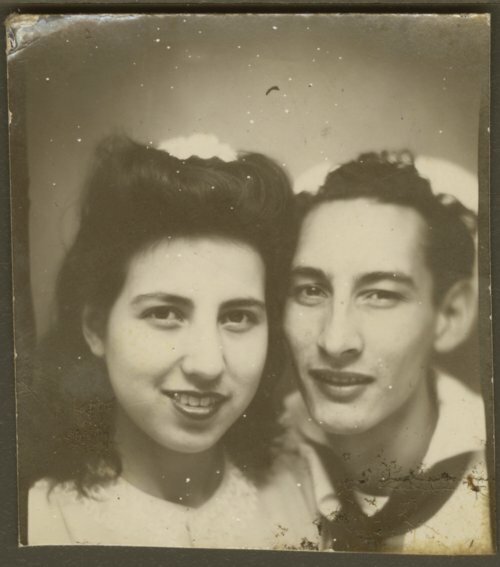 Several of the Gomez family photographs were recently donated to the Historical Society.